Do you remember me and the key from some years ago? Well here's a bit of bonte games news: I'm busy making the third episode and it's almost done! So you can expect it here soon. In the meantime maybe you can have a little practice with episode 1 and episode 2? Looking forward to it Bart! Cant wait .But i miss and sugar games. Feels like it's been so long since I've played a Me and Key game. Oh, what's that? It has been a long time? Oh, that's right. Ok. I'm ready! My body is ready for more Key. I loved the first two. I'm sure this one is going to be wonderful! I love this game, but those things in the picture are they the new blue animals or the blue animals friends? 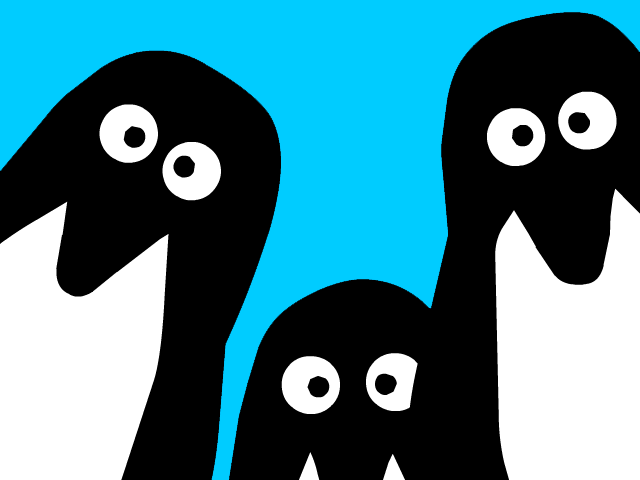 They are the new penguins. The graphic style is different this time. This is great news, will keep an eye out for it! WHEN??? PLEASE TELL US WHEN!!! Loved the first two so much. I still occasionally get friends to play while I watch, just to see how they react to the puzzles. Looking forward to a new one. i love it!!! its awesome!! !